We have noticed that on both dry runs and test flights, our motors are not responding correctly 100% of the time. At times, the ESC's have lost their programming, and other times even with correct programming they act all crazy. This team has put a lot of time and effort into this project, and the last thing any of us want is an ROV that only kind of works right and gets lost in a cave because the motors betray us. So we're going to replace the ESC's and see how the motors act. If they're still acting crazy, we need to look at the software, and we'll just have some spare ESC's out of it. 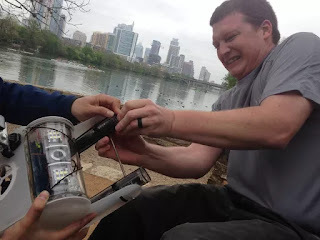 Another thing the team is doing is putting together a flight path for our first real world test flight (aka not in a swimming pool) that will be taking place at Spring Lake in San Marcos. We're going to put our navigation and charting skills to the test in an environment where we can still see the ROV pretty clearly, since once we hit the caves, the difficulty will ramp up considerably. Overall, while disappointing that we're still not quite there yet, it's also good that we're working our way through all of these mission-ending kinks now while we're diving in swimming pools, rather than 40 meters deep in a lightless cave. As always thanks for reading and don't forget to check us out on OpenExplorer where we'll be documenting our dives out in the world, and you can actually donate to the project there as well if you feel so inclined. Cheers! 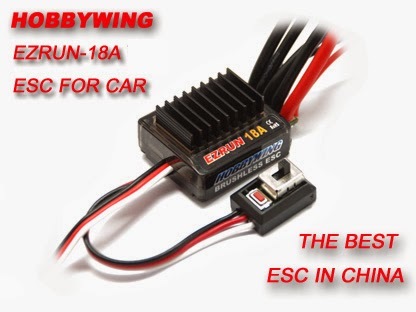 "THE BEST ESC IN CHINA"